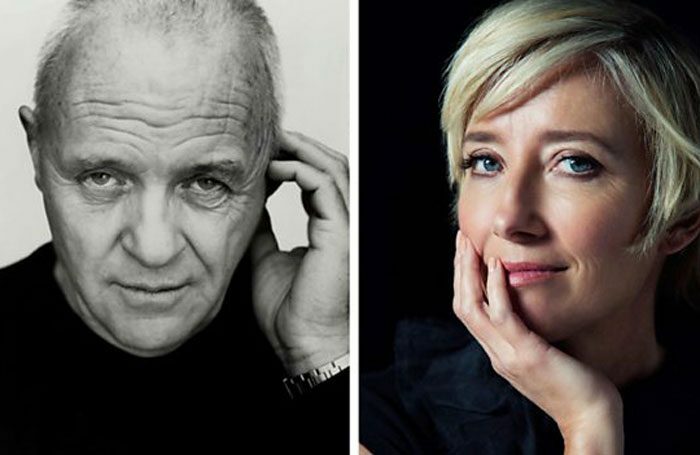 Emma Thompson and Anthony Hopkins are to star in a new television adaptation of King Lear, directed by Richard Eyre. The TV film is being produced by Playground and Sonia Friedman Productions for BBC2. Friedman has previously collaborated with Playground on the TV adaptations of Wolf Hall and The Dresser. King Lear is a co-production with Amazon Studios, which will air the drama on Amazon Prime Video in the UK following its premiere on BBC2 in 2018. The film will be set in a fictional present day, in which Hopkins plays the titular character alongside Thompson as his eldest daughter Goneril. Emily Watson and Florence Pugh play Lear’s other children. The cast also includes Jim Broadbent, Andrew Scott, Jim Carter and Christopher Eccleston, with John Macmillan, Tobias Menzies, Anthony Calf and Karl Johnson. Friedman acts as executive producer alongside Playground’s Colin Callender, with whom she produces Harry Potter and the Cursed Child. They said: “It is a tribute to the great Richard Eyre that we have brought together such a remarkable cast. The film is a testament to the BBC’s on-going commitment to the single drama, and we are very appreciative of their continued support. BBC Drama controller Piers Wenger added that the film would be a “timeless but deeply resonant screen adaptation” of the Shakespeare play.